The Felsted features a timeless Prince of Wales check in a soft blue tone. One of our classic range of pyjamas, it is woven from pure cotton in a medium weight — making it a versatile, year-round pyjama. 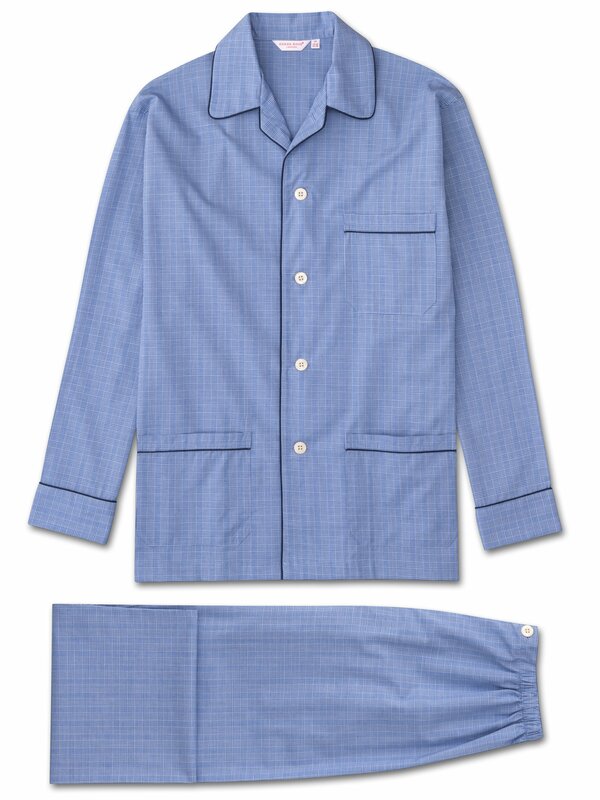 Styled for comfort and relaxation, these pyjamas feature a three pocket jacket, classic collar and adjustable two-button waistband. Elasticated sides on the trousers mean the front and back are flat for your comfort.